Brock Jolly is advising a client who has several retirement plans from several different jobs, a situation he said is fairly common for his Virginia firm. “I think he’s got five or six different IRAs, 401(k)s from past work, that have sort of accumulated. What has happened, he admits, is he doesn’t pay a whole lot of attention to any of them because they’re all over the place,” said Jolly, a financial advisor with Veritas Financial in Vienna, Va. Devising a rollover strategy that dovetails with retirement goals is a long process that begins with simple steps. Jolly first wants to consolidate the man’s retirement plans. “Just simply consolidating and simplifying it adds value to the client to be able to see everything in one place,” explained Jolly, a Certified Financial Planner who holds Series 66 and Series 7 licenses. Being able to help clients coordinate a strategy among various retirement accounts is a service that pays for itself in the long run, Jolly said. 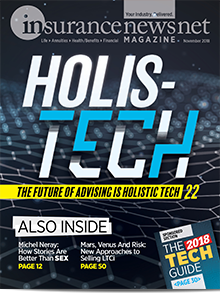 Rollover dollars remain the Holy Grail of the financial advice world, and advisors are adapting in significant ways to land that business. As fiduciaries, advisors such as Jolly have little to worry about with regulations. 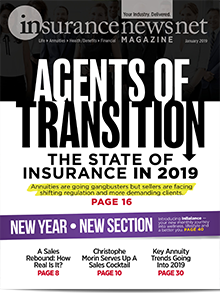 Independent insurance agents, however, are back in selling mode after a worrisome few years waiting out federal attempts to make them quasi-fiduciaries. Now that the Department of Labor fiduciary rule is history, legal analysts say agents can sell products out of rollover dollars with few worries. The main issue is one that has been there since federal retirement plan legislation was enacted in 1974. If the product sale turns into ongoing advice, the agent could meet the fiduciary standard, explained Bruce Ashton, a partner with Drinker Biddle & Reath law firm. “Even if the agent somehow worked with the plan on a regular basis, the recommendation to an individual participant might or might not be considered a fiduciary recommendation based on facts and circumstances,” he added. The agent would have to be concerned with Internal Revenue Code prohibited transaction rules under this scenario, Ashton said, but only the IRS can enforce those rules. “The risk is slight of the individual making a claim for a violation of those prohibitions,” he said. The baby boomers’ march toward retirement, along with ever-shrinking pensions, virtually ensures that IRA rollovers will continue growing no matter what happens with ongoing regulation efforts, analysts say. According to recently updated LIMRA Secure Retirement Institute data, the total traditional IRA rollover market will grow steadily in the next five years, exceeding $500 billion by 2021. “This is part of a very, very big market that we call ‘money in motion,’” said Jafor Iqbal, assistant vice president, LIMRA SRI. LIMRA adjusted its forecasts with its most-recent data, which is coordinated with the Investment Company Institute. Just a few years ago, researchers predicted a soaring rollover market would hit $550 billion by 2018. Then the market received some negative pressures — in particular, the Department of Labor fiduciary rule. The rule had a chilling effect across the industry. 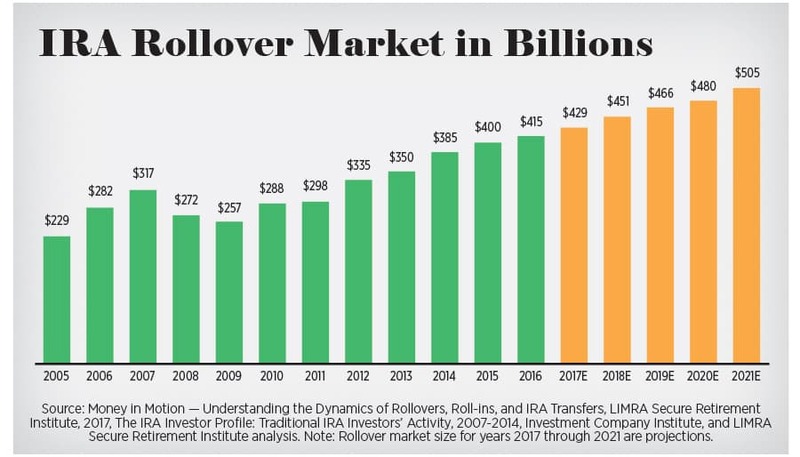 New forecasts are still good and call for a $466 billion rollover market in 2019. The intense interest in the market is a natural free-market marriage to Jolly. 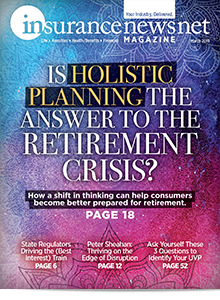 Holistic planning continues to evolve into rollover retirement planning conversations. Jolly often lists options and realities, and lets the client determine what they want to do. Take long-term care, for example. Insurers are constantly developing new LTCi riders that combine the planning value of a life insurance or annuity product with the need for long-term care protection. Because there is so much rollover money at stake, and consumers are better educated and have “numerous choices,” Thomas Rindahl said it is forcing financial advisors to prove their worth. That means Rindahl considers estate planning, long-term care insurance, cash flows and other important steps on the road to retirement. “Right now, when things are topsy-turvy with the markets and knowing where to go, people do want to sit down and talk to somebody and get some sort of clear direction,” Rindahl said. One reason consumers are better informed is the Department of Labor fiduciary rule. 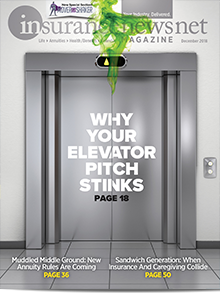 Although a federal Court of Appeals tossed the rule out last summer, it got enough publicity over the previous three years to make an impression on clients and prospects, Rindahl said. The fiduciary rule drama, which began when the Obama administration introduced the rule in April 2015, is partly to blame for putting a chill on rollover business. Many advisories pulled back and reassessed their procedures for documenting and disclosing information to clients. New procedures and checklists were developed at Rindahl’s firm, but he remains comfortable doing rollover business. Annuities, in particular, were affected by the regulatory spotlight, Iqbal said. The use of qualified money for variable annuities dropped substantially. 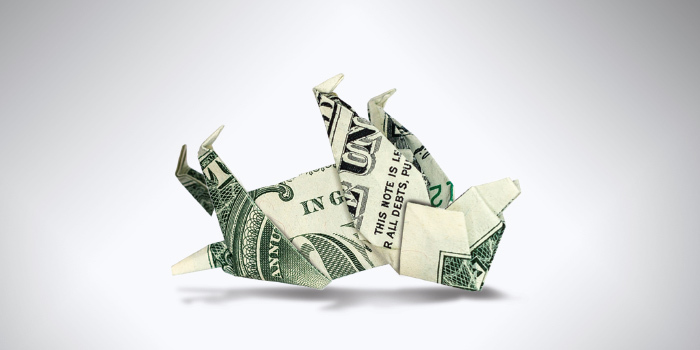 Overall, LIMRA reports that 60 percent of annuities are bought with IRA rollover dollars. Then Donald J. Trump was elected president and momentum turned against the DOL rule. Although parts of the rule took effect, the administration and industry groups kept chipping away at it until the Fifth Circuit Court of Appeals tossed out the rule in March 2018. Sales picked up right away. Third-quarter sales of variable annuities were up 25 percent year-over-year to $25 billion, according to LIMRA SRI data. Fixed indexed annuity sales were 28 percent higher than the third quarter 2017. Advisors remain concerned about sales standards being developed by the Securities and Exchange Commission, as well as various state regulators. They just want to have the full range of products at their disposal, Jolly explained. Consumers choose advisors and companies to handle their rollovers based on a wide range of factors. Company reputation tops the list at 36 percent, according to a LIMRA survey of 1,034 people. The immediate need to consolidate accounts, and convenience, were other top reasons at 33 percent each. Interestingly, fees were not among the top motivators for people seeking a rollover advisor. Respondents mostly mentioned service-related reasons for choosing a rollover advisor, LIMRA said. The top 15 companies are generally capturing about 60 percent of the rollover market, Iqbal said. 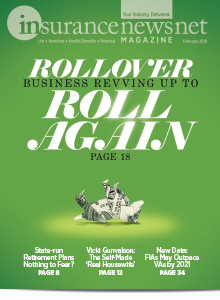 Insurance companies are receiving just 12 percent of the available rollover business, he added. Most insurance companies, not having control over distribution outlets, face difficulties in capturing rollovers, LIMRA noted. Many have to rely on platforms or brokerage houses and their representatives to present insurance products like annuities to potential rollover clients. 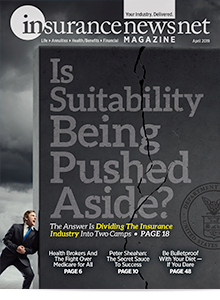 “Other hurdles like little brand recognition, lack of strong products, lack of robust narratives around guaranteed income, and detachment from end consumers force insurance companies to accept a minor role in the growing rollover market,” LIMRA authors said. Among the sought-after high-net-worth clients, advisors like Greg Hammond are using the evolving tax laws to encourage IRA charitable rollovers. “Transferring funds directly from an IRA to a public charity can provide several tax advantages while making an impact on a cause or organization you care about,” said Hammond, CEO of Hammond Iles Wealth Advisors in Wethersfield, Conn. The key is to line up the charitable rollover distribution with the age 70 ½ distribution required by law. While clients would pay taxes on those normal required minimum distributions, they avoid taxes on a charitable rollover up to $100,000. The IRS rule is known as the “qualified charitable contribution.” Known as the QCD, it was in and out of the tax code as a temporary provision starting in 2006. But when Congress passed the Protecting Americans from Tax Hikes Act of 2015, it made the QCD permanent. That permitted tax filers to make a charitable contribution directly from an IRA. Contributions that do not qualify under QCD rules treat charitable IRA rollovers as distributions to the owner. It does not matter if the contribution is made directly from an IRA to a charity, or if a distribution is made to the IRA owner who then makes a charitable contribution. That amount is included in the gross income of the IRA owner in both cases. One caveat: the QCD rollover is only allowed from an IRA, not a 401(k). The Tax Cuts and Jobs Act passed in December 2017 is a further reason for high-net-worth clients to schedule charitable contributions via rollovers. The tax bill simplified filing by eliminating deductions and doubling the standard deduction. That means fewer charitable deductions are allowable and the tax benefits of such contributions is reduced. American workers are in the latter stages of converting from a pension-based retirement system to a defined-contribution system, according to survey data from the Investment Company Institute. And with frequent job changes now the norm, more Americans are rolling over retirement accounts than ever before. The ICI survey, “The Role of IRAs in US Households’ Saving for Retirement, 2018,” found that 58 percent of traditional IRA-owning households, or 19 million households, indicated that their traditional IRAs contained rollovers from employer-sponsored retirement plans in 2018. Traditional IRA owners cited multiple reasons for rolling over their retirement accumulations, including avoiding leaving assets behind with a former employer (64 percent), preserving the tax treatment of the savings (60 percent), consolidating assets (54 percent) and having more investment options (54 percent). The right rollover strategy is a crucial part of solving the retirement crisis, advisor Brock Jolly said. And it will take a variety of products, competent advisors and educated consumers to make it work. • One-third of U.S. households owned IRAs in 2018. More than eight in 10 IRA-owning households also had accumulations in employer-sponsored retirement plans. More than 60 percent of all households had either retirement plans through work or IRAs, or both. • More than one-quarter of U.S. households owned traditional IRAs in 2018. Traditional IRAs were the most common type of IRA owned, followed by Roth IRAs (owned by about 18 percent of households) and employer-sponsored IRAs (owned by 6 percent). • IRA-owning households cover a wide range of incomes. In 2018, the majority of IRA-owning households had incomes less than $100,000: 12 percent had incomes less than $35,000 and 40 percent had incomes between $35,000 and $99,999. Typically, these strategies have many components, often including reviewing asset allocations, determining retirement expenses, developing a retirement income plan, setting aside emergency funds and determining when to take Social Security benefits.